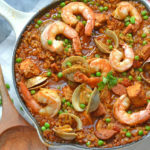 Paella is a Spanish dish I have always loved but rarely get to eat. 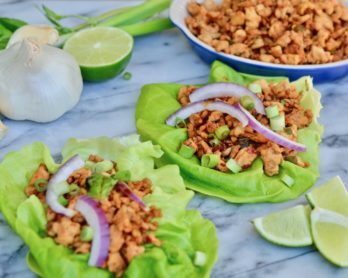 Most restaurants don’t serve it and it isn’t really something you think to whip up on a weeknight for dinner, until now! I thought this dish was going to be super complicated and time consuming but boy was I wrong. 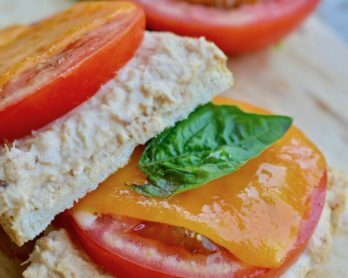 It is a recipe where you do need to prep all your ingredients before hand, instead of winging it like I usually do, so that everything flows smoothly. 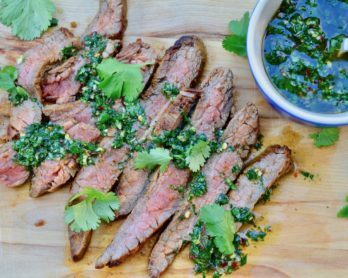 This recipe is very versatile as well. 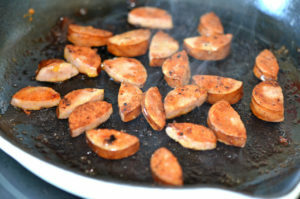 You could use chorizo instead of kielbasa, add in some lobster and mussels, there are seriously so many different things you could do to change up the flavors! 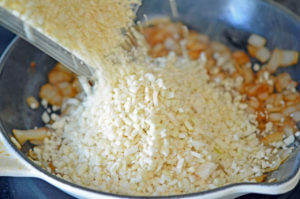 I love this recipe because the cauliflower rice totally masks as white rice in all the spices and other flavors going one, and it is all cooked in one pot! So hardly any dishes at the end of it- talk about a plus! 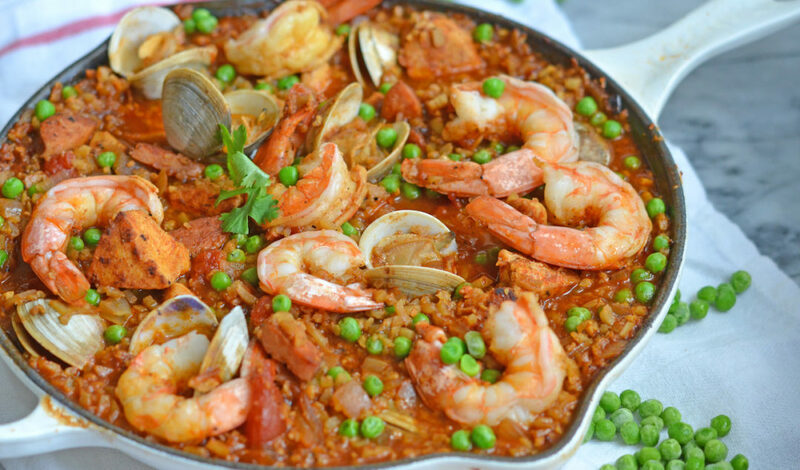 But for real, this paella is such a winner recipe, I hope you give it a try! And please comment to let me know what you think!! 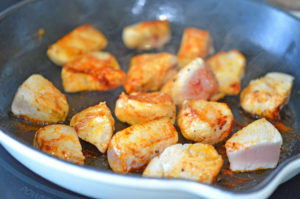 Toss the cubed chicken breasts with the paprika, garlic powder, salt and pepper in a bowl. 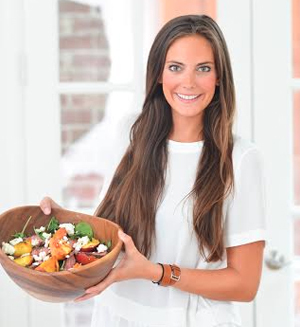 Heat a large cast iron skillet or paella pan over medium/high heat with 2 tablespoons avocado oil. When the oil is hot, add the chicken to the pan. 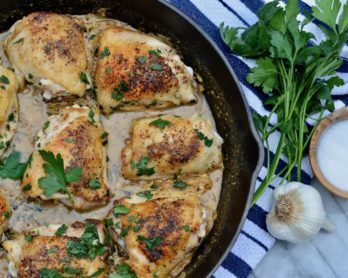 You may need to cook the chicken in 2 batches as you do not want to overcrowd the pan. Cook the chicken until golden brown on all sides. The chicken does not need to be fully cooked at this point because it can finish cooking in the paella later. When the chicken is brown on all sides transfer it to a plate. Sear the sausage in the leftover chicken oil. You may need to add more oil if the pan is too dry. Cook the sausage until it has a nice sear on both sides. Then remove from the pan and transfer to the same plate with the chicken. 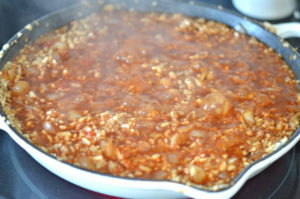 Add the onions to the skillet and cook on medium heat in all the rendered chicken/sausage drippings. If the pan is dry you can add a splash more oil. Cook the onions for 5 minutes, until almost tender. Add the garlic and cook for another 2 minutes. When the onions and garlic are tender, add in the riced cauliflower. Stir everything to combine and cook for about 5 minutes. Then pour in the chicken stock, tomatoes and saffron. Season the rice with salt and pepper. Bring the skillet to a boil then reduce the heat to a simmer. After the rice has been simmering for 8-10 minutes, add back in the chicken and sausage and let everything simmer for anther 10 minutes. 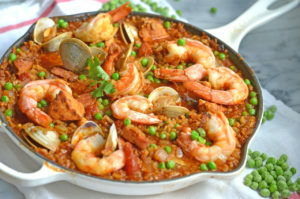 Place the shrimp and clams all over the top of the paella and cover. Steam the seafood for about 5-8 minutes or until the shrimp is pink and the clams have all opened. If a clam does not open when everything else is finished cooking you need to throw it out. Lastly, add the frozen peas to the pan and stir them in so everything gets nice and combined. Taste the paella and adjust any seasonings if necessary. Enjoy!